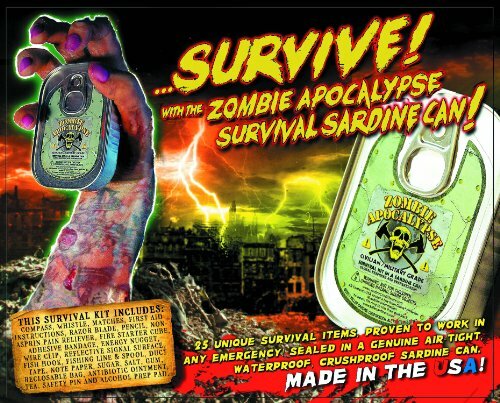 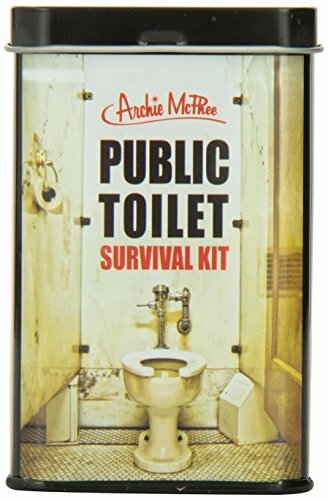 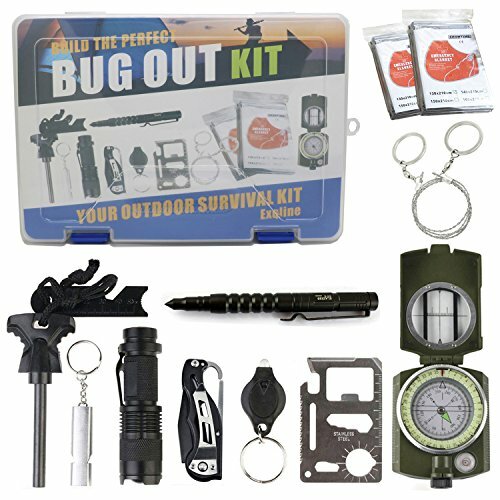 Affordable – Upgrade 11 in 1 Survival Kit. 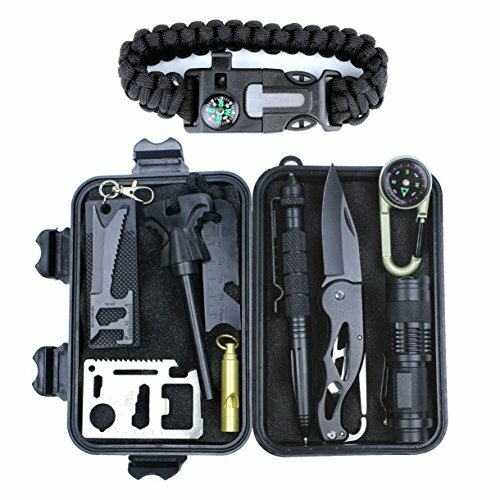 Various Emergency Survival Gear, both are Multifunction. 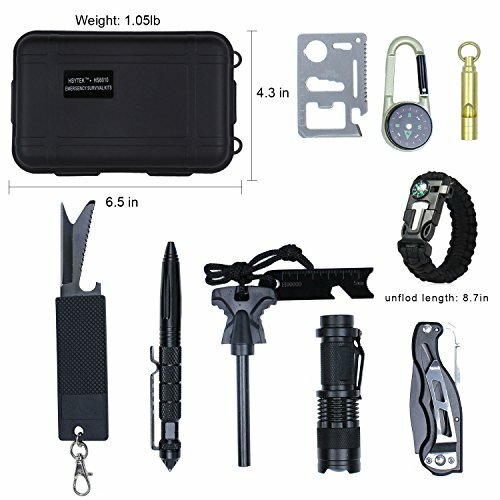 All tools can use Alone like Knife, Flashlight, Fire Starter, Survival Bracelet etc without bear extra fee!!! 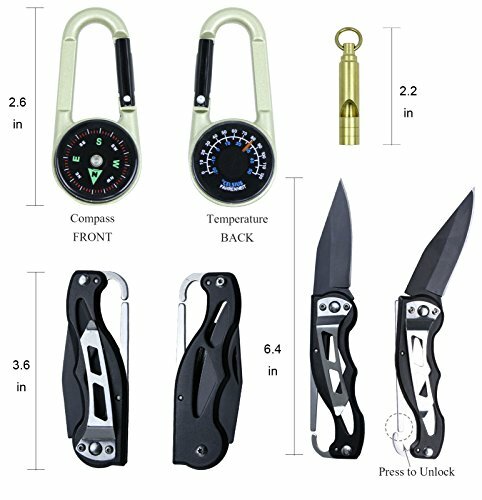 Temperature Compass let you more know the around environment and do a quick response to enhance your survival probability in an emergency. 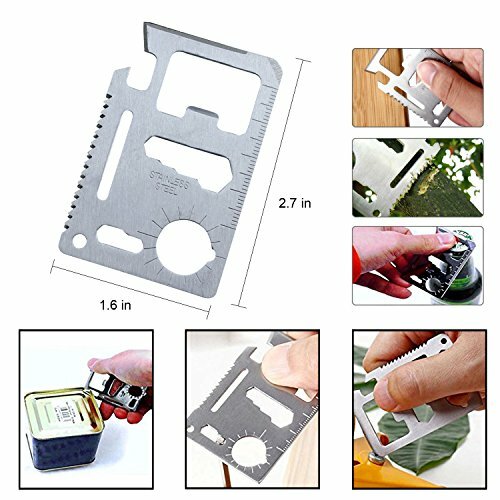 Saber Card Knife has the most function of the saber card and can use as a knife. 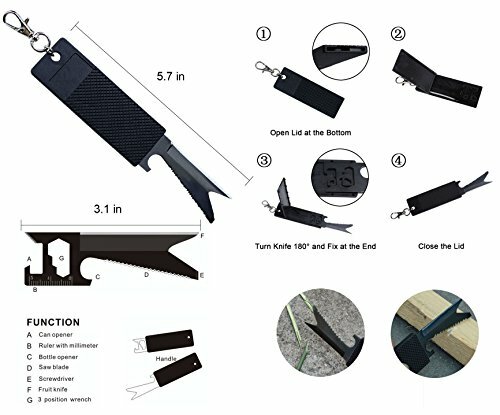 With a protective case, can hide the sharp part for safety.The saber card knife can be partly fixed into the case as the handle of the knife. 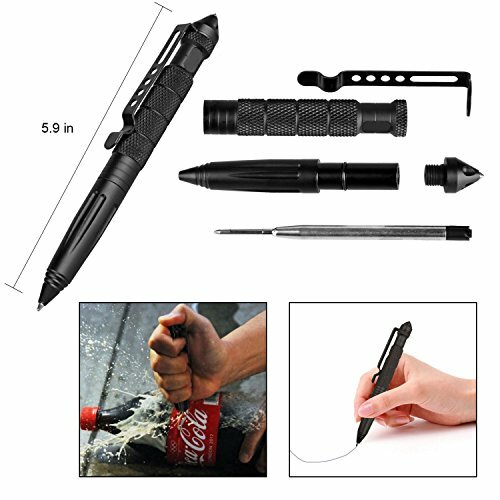 Tactical Pen can use as a Safety Glass Hammer can help quickly broken a car or train glass in an emergency. 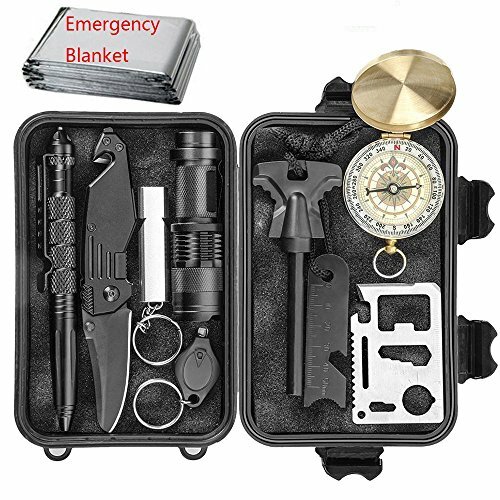 Multifunction Saber Card can us as a saw blade, can opener, bottle opener, screwdriver, ruler etc.The Fire Starter Kit and cold steel Knife and other tools all suit for an adventure, hiking, camping or enhance you kid’s emergency survival skill. 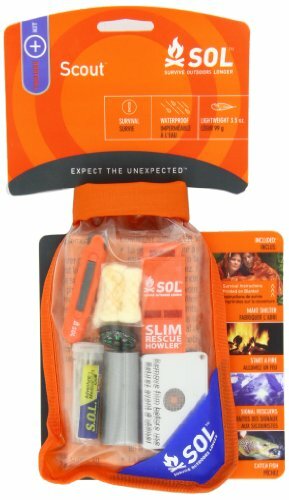 Take this kit or pick some tools you need and go out to enjoy outdoor adventure life or challenge nature.You can also get one to enhance kid’s survival skill at home or put one at home and car to deal with an Emergencies. 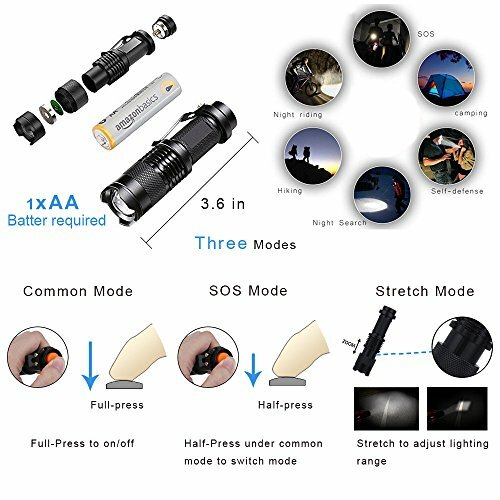 Flashlight coming without AA Battery, You Need Buy Alone. 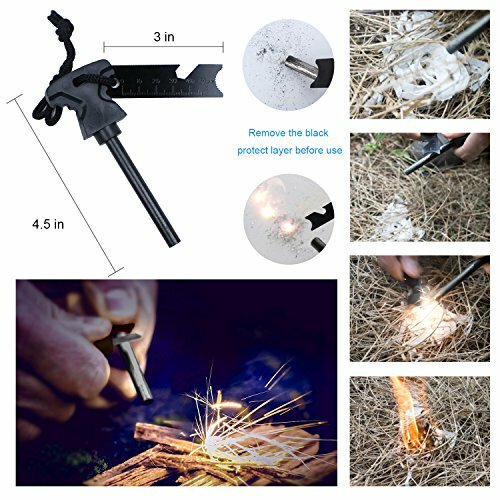 Money Back Guarantee – We Provide 100% Satisfaction Guaranteed or Your Money Back Service.If you have any issue just contact us.ALL OF OUR PRODUCTS HAVE 12 MONTHS GUARANTEE!